One day out from the kick off of Rugby World Cup Sevens 2018, All Blacks Sevens captain Tim Mikkelson and Black Ferns Sevens captain Sarah Goss have declared their teams ready to defend their titles. Aiming to take back-to-back titles for the first time in the history of the tournament, the All Blacks Sevens and Black Ferns Sevens get their campaigns underway at AT&T Park in San Francisco, USA tomorrow. Speaking after Thursday’s (local time) Captain’s Run, All Blacks co-captain Tim Mikkelson, player of the tournament at the 2013 World Cup, said there are similarities between the team in San Francisco and the team that won the last title in Moscow. “We’ve been preparing really well. We have a great group of guys in our team who have worked extremely hard and hopefully if we play well across four games, we’ll get the title again. “Going back-to-back is something we’ve talked about. We want this team to create its own history and legacy. There are so many teams that could win and it will be the team that can execute under pressure; you have to play every game like it’s a final in this knock-out format, so we need to step up and do the business,” said Mikkelson. Having won alongside the Black Ferns Sevens in 2013 and again at the Commonwealth Games earlier this year, Mikkelson said it certainly adds to the experience. Black Ferns Sevens captain Sarah Goss echoed Mikkelson’s sentiment, with fond memories of victories in Moscow and Gold Coast. “Moscow was a special moment, we were an inexperienced team and it was incredible to take a Rugby World Cup home to New Zealand. The Black Ferns Sevens come into the World Cup in fine form, winning the last three World Series tournaments, but Goss said the challenge ahead is unique. “It’s going to be extremely tough with the knock-out format and the quality of teams. We have prepared well and know we need to be at our best if we are going to win,” said Goss. The Black Ferns Sevens face Mexico in their opening match of the World Cup tomorrow (kick off 6.50am Saturday 21 July NZT). Should they advance from that match they will play a quarterfinal later that day. 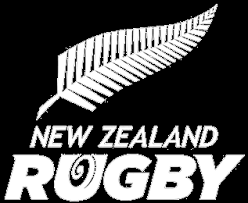 The All Blacks Sevens play the winner of Russia v Hong Kong in their first match tomorrow (kick off 3.31pm Saturday 21 July NZT). Broadcast details below.